TORQ Fuelled, Kenton Cool, is Britain’s most successful Everest mountaineer and the second most successful, Western Mountaineer of all time on Everest, having summited the three mountains of the Everest horseshoe – Everest (8,848m), Nuptse (7,861m) & Lhotse (8,516m) in one climb; completing the ultimate ‘Three Peaks’ challenge. 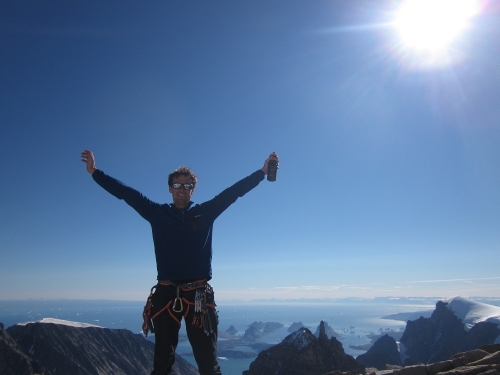 Kenton during an Greenland Expedition in which he summited 3 new peaks. 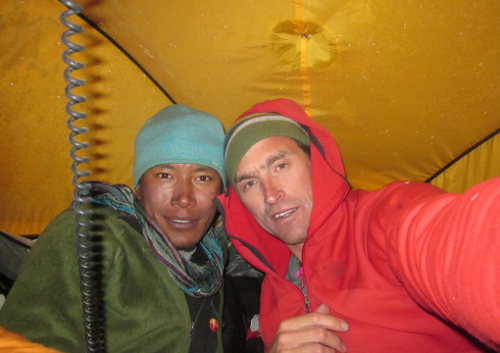 Back in May, Kenton, accompanied by climbing partner and friend Sherpa Dorje Gylgen, successfully summited the final peak, Lhotse, in the Western Cwm. The two men are the first to achieve the feat of summiting Everest, Nuptse and Lhotse in one trip. Summiting Everest alone is an achievement in itself; even for the most experienced elite mountaineers, but to complete all 3 summits in one is a truly astonishing achievement! Everest’s ‘Three Peaks’ have never been attempted before and had been thought impossible by many due to the extreme skill and physical exertion required. The climb also marks Kenton Cool’s eleventh summit of Mount Everest and falls 60 days prior to the 60th Anniversary of the first summit of the peak, by Tenzing Norgay and Edmund Hillary, in 1953. The Times Magazine covered the full story here. Kenton, a keen cyclist as well as a mountaineer, began using TORQ products after taking them on the epic Haute Route Cycle Sportive last year and then began to use TORQ for some of his mountain adventures. He professed that the Everest and Lhoste peaks on the horseshoe were fuelled solely on TORQ Gels!